Scotty’s Brewhouse has no plans to close its Butler location after more Scotty’s restaurants close in Indianapolis. Photo from Keystone Corporation website. 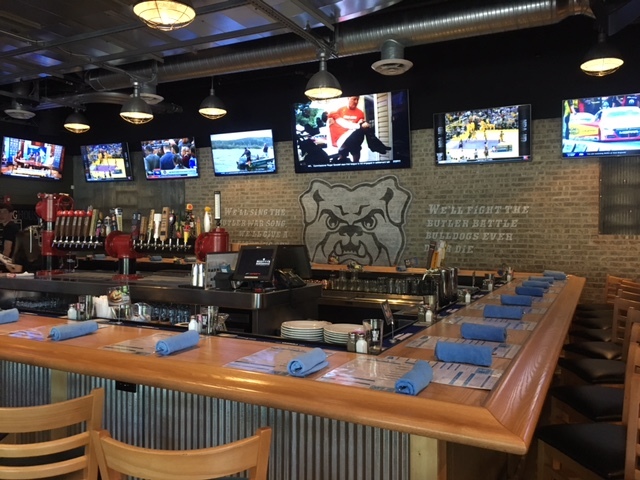 Scotty’s Dawghouse was the first tenant in Butler University’s parking garage in 2016. Three years later, it is currently the only tenant since the closing of both Pita Pit and Metro Diner. Scotty’s Brewhouse has no intention of closing their location on Butler’s campus, Ashley Merder, corporate brand manager, said in an email to the Butler Collegian. The restaurant chain filed for Chapter 11 bankruptcy in December 2018 and announced plans to close four locations: Carmel, Muncie, Indianapolis and Waco, Texas. According to the bankruptcy filings, Scotty’s Dawghouse owes Butler just under $63,700 for rent. It is the location’s largest unsecured claim, the next being less than $55,500 to U.S. Foods, Inc.
On April 14, Scotty’s Brewhouse on East 96th Street closed after 13 years. In an email to the Collegian, Holland Andrew, manager of Scotty’s Dawghouse, said the location on 96th Street struggled to overcome declining sales. “We value all of the team members who have played a role in the 96th Street location and are encouraging them to apply for positions at other locations,” Andrew said. On April 10, the location at Southport Crossing Drive suddenly closed. The Southport location was not part of the chain’s bankruptcy filings, as it was one of the seven which operated under management agreements. Merder said the location’s owner decided to close the location, not corporate. Scotty’s remaining Indiana locations in addition to Butler’s campus are in Bloomington, Brownsburg, Fort Wayne, Mishawaka and West Lafayette. Outside of Indiana, they have locations in Oxford, Ohio; Champaign, Illinois; and Mattoon, Illinois. There are Thr3e Wise Men locations in Indianapolis and Muncie.